Should You Buy a Race Horse on Your Own or in a Racing Syndicate? Owning a racehorse can be the most exciting investment you ever make. Whether you own by yourself or with friends, family or partners in a thoroughbred syndicate, there is no greater feeling than watching your horse take the lead at the top of the stretch. Like any investment there are pros and cons to investing by yourself or with others and thoroughbred horseracing is no different. Here are 5 main differences that any new (or current) owner should be aware of when deciding to own by yourself or in a racing syndicate. They call horses the million dollar animals with the ten cent legs. Unfortunately, injuries are a part of thoroughbred horse racing. The costs described above can be wiped out in one day. Buying shares in a thoroughbred syndicate allows you to take the same funds above and spread the risk among 10-20 horses. It's a lot more fun owning 10% of a thoroughbred racehose that wins than 100% of one that doesn't. Over 50% of all horses in Southern California are now owned by a group of two or more. Having said that, when you own by yourself, and find a top thoroughbred racehorse, you get 100% of the profit. High risk, high reward. If you're a new owner, money alone won't get you into thoroughbred horse racing. You need to hire a bloodstock agent to help you buy a horse and a top horse trainer to condition it. These experts only work with the best. The barrier to entry can be tough. One of the best ways to establish relationships is to buy a share in a syndicate that hires a top horse trainer, like Bob Baffert. On the other hand, some horse trainers only like to work for individuals. If you own by yourself you share in 100% of the profits. You're also the only one in the paddock and winners' circle and you get your name on the program. You're the top dog! On the flip side, thoroughbred syndicates go out of their way to make sure their 10% partners are treated virtually the same way. In fact, thoroughbred syndicates can offer something the single owner can't receive - customer service. From arranging barn visits to introductions to the industry to the best seats at each race track, a racing syndicate's job is be your personal conscierge. Racing syndicates do all the work, so you can have all the fun! For a list of all benefits of joining a racing syndicate, please click here. I have one. As do you! Which person are you? Do you want to own a boat by yourself or with friends? Are you somone who owns the whole plane or a fractional share? Can you handle not being in 100% control of all racing decisions? At Little Red Feather Racing, we have over 400 partners. Unfortunately, we lose a few here and there due to an ego clash. Yes, the client is always right! Unfortunately, although we welcome ideas and work in a collaborative fashion, we can't allow a partner to make final decisions inside a partnership as this directly affects the other partners. If you want total control, owning by yourself is the way to go. Maintaining the same business acumen that made you successful in life is paramount to how you handle your thoroughbred horse racing investment. There is no wrong way of owning! This should be the most exciting investment you ever make. That can only happen if you create the proper business plan and execute it. 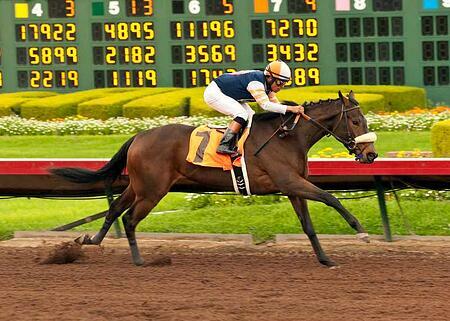 Ready to start thinking about owning a thoroubred racehorse in horse racing partnership?